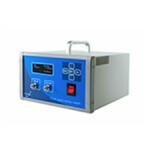 Our extensive range of gas analysers are suitable for a broad range of applications. Select a category on the left to find out more. Additive Manufacturing (AM) is becoming more popular within the engineering industry as companies begin to consider it as a preferred method of component production, rather than just using AM for rapid prototyping. Any oxidisation occurring within the AM process can lead to build failures or components ultimately failing to meet the standards required due to stress test failure or density test failure. Interstitial absorption of any oxide embrittles the weld and may render the component useless. Oxygen analysis used within the powdered metals process enhances both quality control and ensures safety during manufacturing. Many of the components produced using AM methods are commissioned by the aerospace, defence and automobile industries. Therefore identifying and reducing the chances of oxidisation of the metal is essential. The other critical reason to measure oxygen levels in the AM process is to ensure the safety within the manufacturing process. All powders, including seemingly benign examples like flour or powdered milk, are highly flammable due to the large surface area to volume ratio. Therefore, it is crucial to ensure that oxygen levels do not reach such a level to allow the powdered metals to combust. In summary, the measurement of the oxygen content within the AM process safeguards against oxidisation and eliminates the risk of explosion. Biogas is a renewable energy source created during Anaerobic Digestion (AD). It is a natural process that takes place within digesters where organic matter is broken down in the absence of oxygen. Production generally takes place within agricultural or industrial plants, such as breweries or food processing sites and creates a gas rich in carbon dioxide and methane, a potent greenhouse gas. Benefits of biogas production include the generation of renewable energy and a diversion of waste from landfill. Landfill gases are also created through anaerobic digestion and are one of the largest sources of methane emissions into the atmosphere. Controlling waste disposal and methane production and usage can have considerable benefits for the environment. Due to that fact that biogas is often produced from waste, it can contain harmful organic and volatile compounds. Monitoring and analysis are therefore essential to ensure the correct handling and cleaning procedures are adhered to, resulting in an accurate biogas composition. The biogas can then be used very much like any other fuel, to deliver clean and cost-effective heat and power. The manufacturing of chemicals involves the use of chemical processes to convert raw materials, for example; oil, natural gas, materials and air into products such as plastics, fertilizers and pharmaceuticals. Chemical processes refer to the techniques used to alter the chemical compounds of these materials, such as combustion or catalysis. These generally take place in specially designed reaction vessels, at elevated pressures and temperatures. Central to the modern world economy, the chemical industry requires a highly efficient process that minimises wastage and maintenance costs. Purity is of utmost importance, and great lengths are taken to ensure that impurities do not impact the properties of the final product. In addition to this the chemical industry is highly regulated to ensure that strict compliance measures in health and safety are adhered to. Gas analysis techniques are used throughout the industry to optimise processes and analyse reactions and gas compositions. For example, many chemicals react with oxygen that can negatively impact the quality of the final product. Inert gas blanketing with a gas such as nitrogen is therefore required within reactor and storage vessels to prevent oxygen impurity. Combustion is a chemical process that involves the rapid reaction of a fuel substance with oxygen and heat. During this reaction new chemical substances, such as exhaust fumes, heat and light are created. There are many types of combustion including; complete, incomplete, smouldering, rapid and turbulent. Each process can differ due to the heat source and amounts of fuel or oxygen available. Various industries such as engineering, research, manufacturing, metallurgy and mechanics employ combustion techniques. These often take place within furnaces and ovens, or fuel and combustion laboratories. For example, vacuum ovens and furnaces are commonly used within metal heat treatment processes. During this process the metal is surrounded by a vacuum, protecting it from heat transfer and contamination. Oxygen analysis is employed within the combustion process to ensure optimal control. Processes such as complete combustion require high levels of oxygen while incomplete combustion requires low levels. It is essential to ensure that the correct oxygen levels are in place to safeguard against potential hazards or undesirable reactions, such as the creation of poisonous gases. Additionally, the exhaust fumes from combustion furnaces can be analysed for gas composition. Medium and high voltage electrical equipment requires insulation to prevent the arcing of electricity. SF6 gas is commonly used within Gas Insulated Switchgear (GIS) as an arc quenching and cooling medium, due to its excellent dielectric properties. 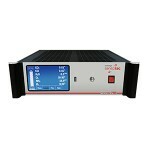 To discover more about electrical applications, please visit our dedicated SF6 gas analysis website at www.sf6.co.uk. Emissions relate to the production or release of atmospheric pollutants or chemical products, such as flue or exhaust gas. These gases are comprised primarily of carbon dioxide, methane, fluorinated gases and nitrous oxide, all of which are classified as greenhouse gases with the potential to damage the environment. During industrial processes such as combustion, agricultural processes and chemical production these gases are emitted into the air. To prevent climate change governments have implemented strict regulations and laws to ensure that businesses monitor their emissions in an attempt to reduce the release of harmful gases. Industries that currently control their emissions include; cement plants, steel mills, power stations, gas turbines, paper mills, mining, agriculture and pharmaceuticals. Consumer expectation dictates a high level of quality when it comes to the food that they purchase. Demand is high for consumables with a long shelf life that can be trusted not to spoil too quickly. A popular method for increasing the longevity of food products is to package them within Modified Atmosphere Packaging (MAP). A modified atmosphere will counteract against decay and oxidation of the food, in addition to preventing the growth of microbes such as mould or bacteria. The process of MAP involves the flushing of air from the packaging. This is then replaced with a gaseous mixture that is specially designed to suit the product. Commonly used gases include; carbon dioxide, oxygen, nitrogen and carbon monoxide. Oxygen is typically used to package meat products to maintain the colouring of the product, whereas many dairy products are packaged under carbon dioxide to prevent the growth of microbes. In addition to the gas production industry, gases are used widely throughout many other sectors such as; manufacturing, electricity generation, fire suppression, research and development, and food production and storage. Throughout any process that utilises gas, it is essential to ensure that concentrations are exact and that no contaminants are present, to ensure the highest quality and expectations are met. Gas analysis can take place during many points of the processes, including the testing of gas cylinder purity, within storage and transportation vessels and in-line throughout production. In addition, gas detection is a vital aspect of health and safety procedures within a number of industries. Glove boxes are commonly transparent, sealed containers that have gloves built into the side. They allow users to create the appropriate atmosphere in which to manipulate objects or hazardous materials. Industries such as pharmaceutical, research, metal treatment and manufacturing employ gloveboxes to carry out processes such as welding or the handling of biological substances or chemicals. Gases such as nitrogen, argon or helium are used to blanket the atmosphere within the glovebox, which prevents reactions between hazardous or sensitive materials. 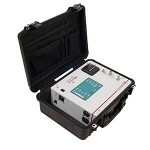 Gas analysis is essential to ensure the correct environment and to help identify any leaks within the chamber. Inert gas blanketing is a process used to protect volatile, combustible or perishable products from undesirable reactions such as oxidation or explosion. Gases such as nitrogen, helium or argon are used due to their non-reactive properties. These gases are introduced to purge the oxygen within a chamber, storage container, tank or any headspace within an area containing materials that require protection. Tank blanketing or padding is a process used in many industries where safety, product quality and the extension of the product lifecycle is paramount. For example oil and gas, chemical and food companies utilise the process when storing and transporting products to benefit from such advantages. Due to the inert properties of the gas, oxygen is analysed as an impurity within the blanketing process to ensure that it has been displaced. It is essential to ensure that the inert gas is as pure as possible to prevent the possibility of undesirable reactions such as combustion or oxidation. Throughout manufacturing the analysis of gas is carried out to ensure high-quality results and minimal wastage. This includes processes such as the manufacturing of semiconductors, latex products and food, additive manufacturing, metal heat treatment and solder reflow. For example, the production of semiconductors is a thermal process that involves working with silicon. An inert atmosphere is used to prevent the oxidation of the silicon and metal films. 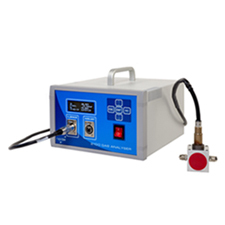 Likewise within the solder reflow process an inert atmosphere is introduced into the oven to prevent oxidation of the solder paste. It is essential to ensure that there is no contamination within the required gas concentrations to provide insurance of quality and optimisation of procedures. Of great importance is in-line gas analysis, which provides real-time data and prevents large batches of materials from being produced incorrectly. Applications within the medical and pharmaceutical industry are vast with gases being delivered directly to patients for therapy (e.g. 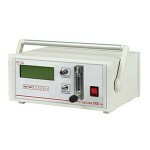 ventilators or anaesthesia) or used for storage, cryogenic freezing or incubation. Pharmaceutical companies use gases in the manufacturing process of many products and ingredients. Additionally analysis takes place in physiology laboratories, for example, to measure oxygen depletion levels in humans with the use of a Douglas bag. Regulations within the medical and pharmaceutical industries dictate that gases are analysed to ensure their conformance and verify that they are free from impurities and contaminants. Frequently used gases include; oxygen, nitrogen, medical air, nitrous oxide and carbon dioxide. To discover more about the importance of packaging integrity within the medical and pharmaceutical industry, please visit our Dynascan website. Extreme heating or cooling of materials can alter the chemical or physical structure. Metal heat treatment is a process used to change properties such as the strength, density, resistance and suppleness of metals to make them more suitable for purpose. Methods vary depending on the metal used and the outcome required, however, common metallurgical techniques harnessed include annealing, brazing, tempering and hardening. When these techniques are carried out under intense heat, it is often necessary to introduce a controlled, inert atmosphere to prevent oxidation within the metal and ensure high-quality standards are achieved. Popular industries carrying out metal heat treatment include manufacturing and research and development. Innovation, investigation and growth are all synonymous with the activity of research and development (R&D). The majority of companies carry out R&D in some shape or form and for those such as manufacturing, packaging, research and educational institutes this can take place in facilities such as laboratories. For example, various university departments require gas analysis solutions as part of their laboratory testing equipment. These include; physics, chemistry, engineering, medical and veterinary. High-purity gas supply and the analysis of processes are vital to ensure accuracy, quality and efficient productivity. Syngas or synthesis gas is produced from the gasification, reforming or pyrolysis of carbon-based materials. These include; coal, biomass, plastics or other domestic waste. During production, these materials are subjected to high temperatures under a controlled atmosphere. The synthetic gas that is produced is rich in carbon monoxide and hydrogen, with small amounts of carbon dioxide and methane present. It can be used in the production of chemicals or as a fuel source. Due to syngas being produced from waste materials it can contain impurities or pollutants that may damage the atmosphere. It is, therefore, essential to monitor and analyse the process to ensure a high-quality yield.